A = 1-9/16". 1-1/4" between screws. Chrome plated zamak. For inswing doors. 1-1/2" between screws. Used where you want emergency access capability. Surface mounted. Can be used on any thickness pilaster. Chrome plated zamak. 1-1/2" between screws. Surface mounted. Can be used on any thickness pilaster. A = 1-1/2". 1-1/4" between screws. Fix - It - Kit. Inswing or outswing. 1 1/4" thick pilaster. For Inswing. Emergency access type. 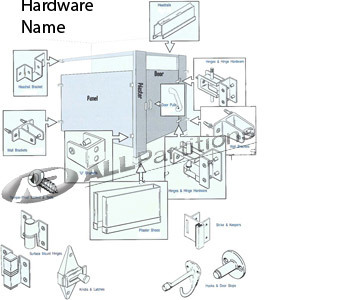 N/A; use wrap around hinge: S7360, S7361, S7770, S7780.